The low bed design of the wooden Low Modern Attic Bed has proven very popular for its modern, sleek and contemporary design that offers a unique feature for your bedroom. The design of the Low Modern Attic Wooden Bed frame also makes it an ideal choice for a more sleek and ‘oriental’ style for their bedroom, taking inspiration from the minimalist design of the tatami bed. As standard, the Low Modern Wooden Attic Bed frame is expertly handmade by our skilled carpenters here in the UK. 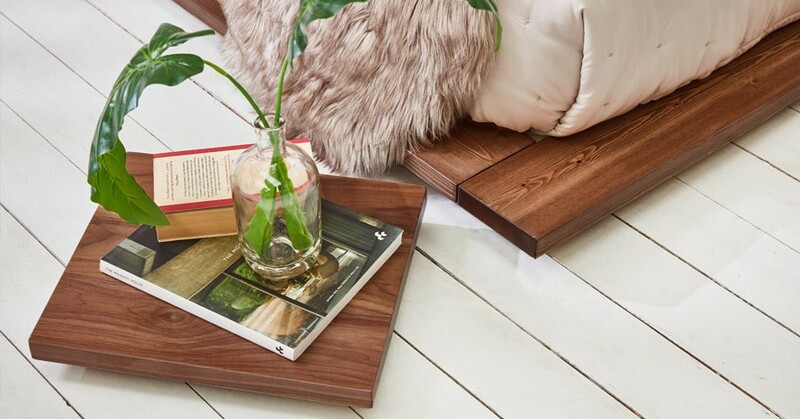 Lovingly handcrafted using 100% solid wood, you can choose from our range of 17 stylish finishes. 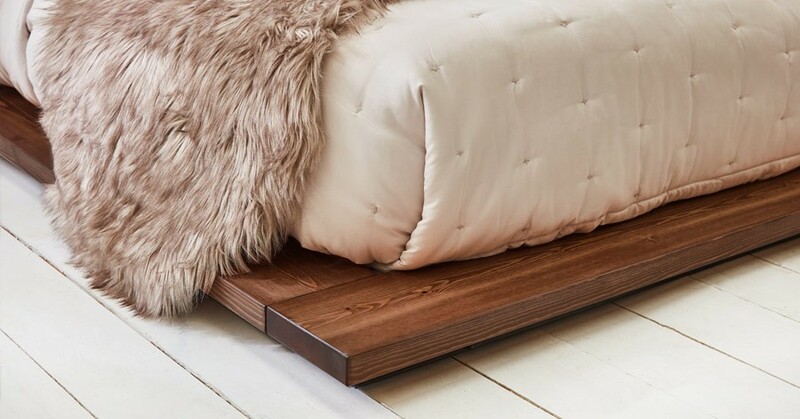 Popular hardwood finishes include our solid oak and solid walnut, perfect for complimenting your bedroom decor. Our colour choices range from modern white, contemporary grey wash and the more natural-looking honey finish. Why Choose a Low Wooden Bed? The minimalist low bed design creates a spacious feeling for your bedroom, making it an ideal choice for rooms in which the ceiling height is restrictive, such as loft or attic bedrooms. This makes a big difference in areas where there is a particularly large height restriction that impacts your choice of bed. This low design of the bed frame provides a spacious feeling and offers an alternative to the standard wooden bed frames by providing an excellent space saving solution in a stylish and minimalist bed option. Our Low Modern Attic Bed provides a modern alternative to Tatami Beds. The low wooden bed frame is also a popular choice for child bedrooms, where the low bed height offers greater safety than other bed types. The Low Modern Attic Wooden Bed features a cantilevered design that frames the mattress within the solid wooden bed frame. 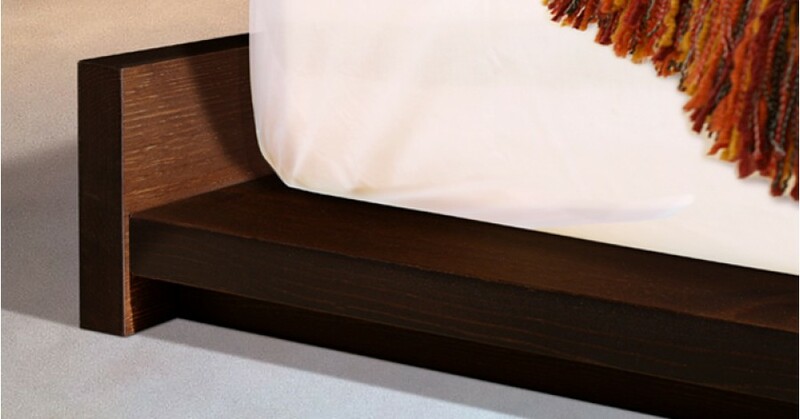 This simplistic design is created by using the lowest rails within the bed frame to be inset slightly, which creates a unique floating style to the bed. The Low Modern Attic Bed has also been cleverly designed to feature a headboard that fits comfortably against a wall. This low wooden bed frame arrives to you conveniently flat packed to ensure that you can transport your order to your bedroom with ease. Like with all our wooden beds, the Low Modern Attic Bed includes easy to follow instructions that enable you to assemble our wooden beds with ease, saving you valuable time. All of our beds are carefully handmade to order by our experienced craftsmen in the heart of the UK. This enables you as a customer to ensure that should you have a difficult space or specific size requirement for your wooden bed frame, you can request alternations for your bed, to be tailor-made by us to your exact needs. The Low Modern Attic Bed is one of the unique designs in our range of handmade Low Bed Frames. If you enjoy the style of the Low Modern Attic Bed, then the Low Loft Bed (Space Saver) and the Low Oriental Bed will be perfect for you. 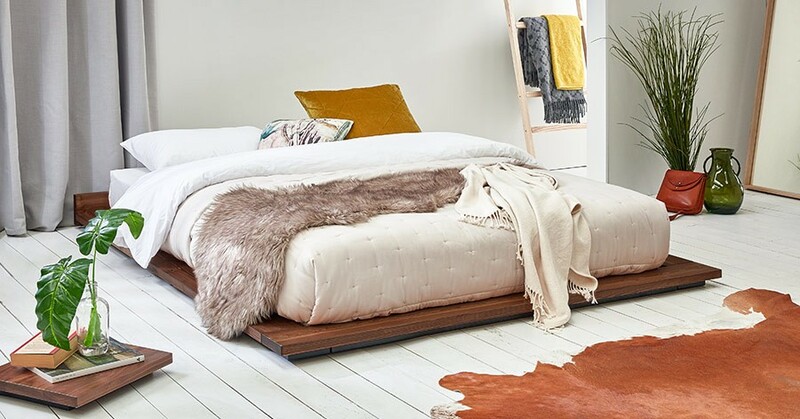 The handmade Low Platform (Space Saver) bed frame has a similar design to the wooden Low Modern Attic Bed as the mattress sits wholly on top of the frame, instead of inside it. Both are sleek, modernistic designs created with efficiency in mind, and the Low Platform Bed (Space Saver) is an excellent choice if you’re looking for something a little higher than the Low Modern Attic Bed frame. Please note, this diagram is to show the dimensions of the frame and is not representative of how all mattresses will rest in the frame.